India’s Supreme Court today extends 2G Spectrum auction deadline till January 11, 2013 and allowed mobile service operators whose current licences are set to be revoked to operate their mobile services until January 18, 2013. It will be the big relief for the operators like MTS India (SSTL) and Uninor (as their current licenses are valid till September 7) which are serious to continue the services among all new operators whose 2G mobile service licences were canceled by the Supreme Court in its 2G verdict on 2nd February 2012. 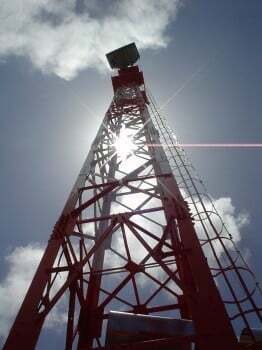 The Department of Telecommunications (DoT) had earlier this month sought an extension to the 2G spectrum auction deadline, which is set to expire on August 31, after an inter-ministerial panel (GOM) decided to seek more time. DoT had said in its plea that the deadline for holding the auction should be extended to November 12 while allocation of new permits and frequencies to the successful bidders would be done by January 30, 2013. The DoT today also issued a memorandum on the auction of 2G spectrum, with Delhi being the most expensive at a reserve price of Rs 693.06 crore per 1.25 MHz. The price of 1800 Mhz spectum for Mumbai is the second highest at Rs 678.45 crore. Jammu & Kashmir is the cheapest at Rs 6.33 crore. DoT has fixed the earnest money, a deposit a buyer makes to the DoT to show its faith in a transaction, for pan-India 2G Spectrum bidding at Rs 442 crore. A notice inviting applications (NIA) will be issued on 28 September and the last date for submission of applications would be 19 October. E-auctions begin for 2G, or the 1800 Mhz band, on 12 November but they will be held for the 800 Mhz band (for CDMA services) only two days after the 2G auctions have closed.